The Roland FP30 is an outstanding instrument for beginner to intermediate players! It features 88 fully weighted keys with synthetic ebony and ivory key tops, a variety of different sounds and voices, and even a very useful Bluetooth function! The action in this particular model is unbelievable especially for the price point the FP30 sits in! It is very responsive and quick just like a traditional grand piano would be! With the fantastic Bluetooth function, you can now use your piano to play along with your favourite artists and even play through your piano tutorial videos! 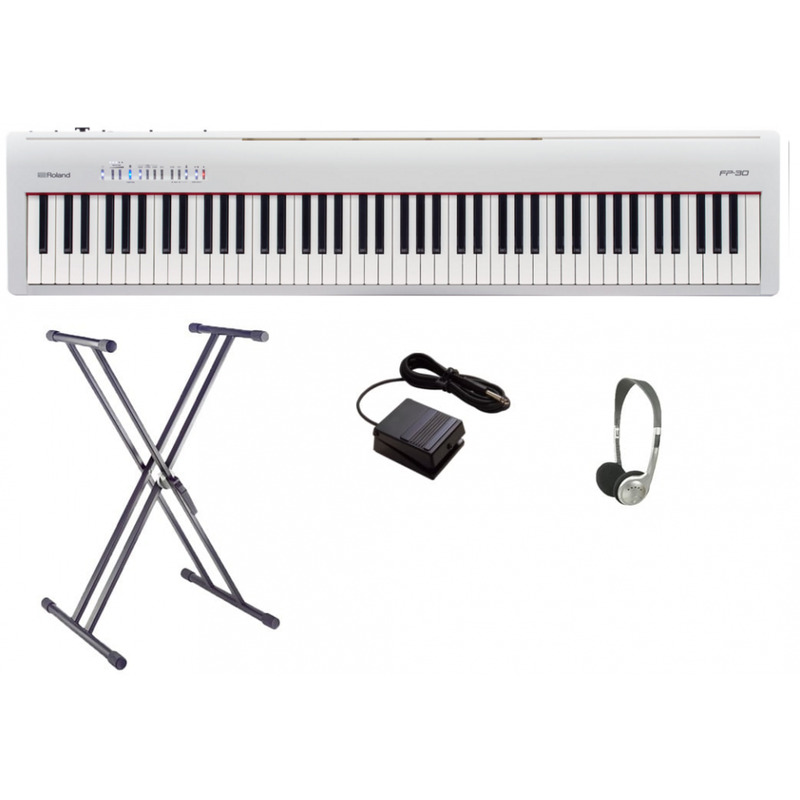 The Roland FP30 is perfect for any beginner pianist and is a must try!